Women linked to breast implants challenged plastic surgeons, regulators and implant-makers last week but apparently came away disappointed because no U.S. changes are in the offing. Other countries, however, have taken steps to halt sales of the implants. According to The New York Times, as cited in the Kaiser Health News Morning Briefing online, the women attended "an emotionally charged" federal Food and Drug Administration advisory panel meeting and called for a ban on at implants associated with a rare form of lymphoma. In addition, they "asked implant-makers to disclose the materials used in the devices and also called for a 'black box' warning — a label that the FDA can require, noting heightened problems with a drug or device." 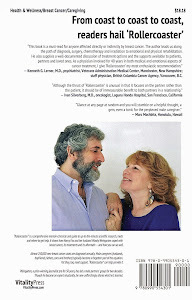 The Washington Post noted, as reported on KHN, that they told "searing stories about broken health, disrupted families and lost careers," and said they wanted the panel "to recommend more long-term research, bans or restrictions on certain products…and a beefed-up informed consent process so that women have a clear understanding of theorists and benefits of the devices before they opt for surgery." 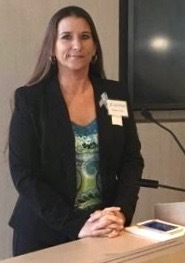 Jamee Cook, a Texas paramedic who leads a group called Breast Implant Victim Advocacy, said "experienced chronic fatigue, numbness and migraines — symptoms that were resolved" when she had the implants removed, a story in The Wall Street Journal reported, according to KHN. She charged that the FDA has not fulfilled its responsibility to protect patients." The Journal also noted that nearly "three decades after the FDA first pulled silicone [gel] breast implants of the U.S. market [because of fear they might cause breast cancer or lupus] and then allowed some back on, women continue to report debilitating conditions to the agency. The FDA is revisiting the issue again this year and is grappling with efforts to study which issues are proven and which not proven." By quoting the Associated Press, the KHN summary then showed what results evolved — and what didn't — from the meetings. It said that government medical advisers claimed "it's too soon" for any ban because "more information is needed to understand the problem." The FDA panel, a day after reviewing the research presented, recommended no immediate restrictions on breast implants. The bans imposed by other countries, however, came within days of the FDA's rejection of the idea of sales limitations. In the United States, some 400,000 women get implants each year, 100,000 of them after cancer surgery. According to a story by Marie McCullough last week in The Philadelphia Inquirer, health authorities in Canada and the Netherlands — "just days after France became the first country to ban sales of numerous brands of textured and polyurethane-coated implants" — announced plans to suspend sales. That article notes that "since the first report of implant lymphoma in 1997, almost 700 cases and 17 deaths have been tallied worldwide, including 270 cases and nine deaths in the United States, according to the latest count from the American Society of Plastic Surgeons." 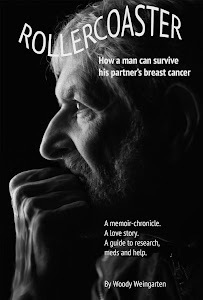 More data about implants, and reconstruction, can be found in "Rollercoaster: How a man can survive his partner's breast cancer," a VitalityPress book that I, Woody Weingarten, aimed at male caregivers.